The Brunel Building at the Southmead Hospital site is the largest new acute hospital building in the UK and the third largest in Europe. 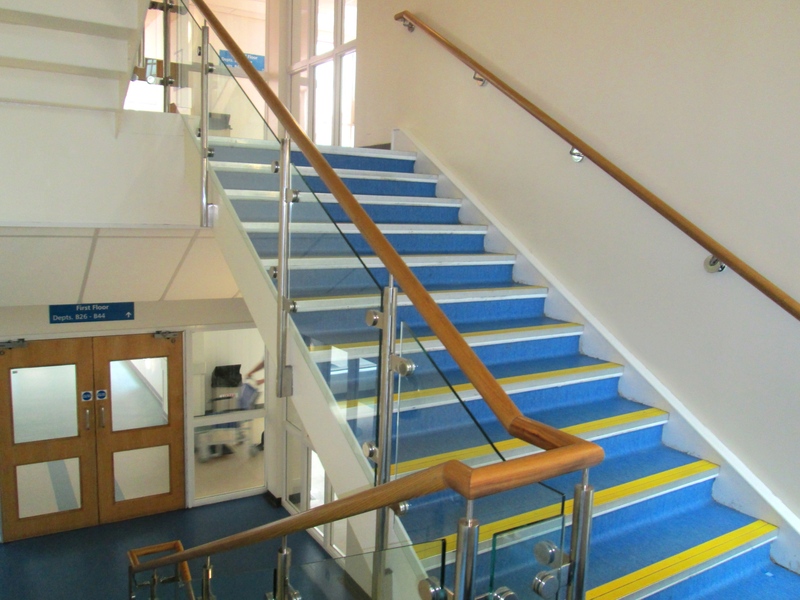 In 2013, North Bristol NHS Trust issued a tender to all relevant companies across the UK and Europe inviting ideas on how best to furnish the entire seven floors. The initial tender requested that each company show ways in which their portfolio of furniture could be best used to adapt the style of the hospital and to offer more-flexible environments for staff and patients. This covered the entire hospital, from the reception through to the consultation rooms, including creating back office flexibility for those employees needing desk space. The Senator Group showcased a number of solutions and after a year-long tender process won the £2m contract on 2 January 2014. Its plans offered the trust solutions that would provide more than 30,000 items of loose furniture with only an eight-week installation period for more than 4,000 rooms. On the back of the main project The Senator Group was tasked with furnishing the rest of the buildings on the hospital site with the same quality of furniture. Tricia Down, project director at The North Bristol NHS Trust, said: “Carillion, the main contractor, delivered the city an amazing building and we felt that it would have been very easy for the trust to compromise the vision for the furniture within the hospital. The BBH Awards judges said of the entry: “It is about a team that has actually looked at the design and quality of interior fittings and loose furniture. We think this is done anyway, but it is not. “The client has written a detailed brief very early on. It is trying to get people to talk to each other and to connect. They got manufacturers involved from day one and brought together people who do not normally work together so early on in a project. Keiro and Erimus Housing have worked together to develop The Gateway – a new healthcare facility that is setting a precedent for the future of neuro rehabilitation services. Keiro’s housing partner, Erimus Housing, part of the larger Thirteen Group, supports clients in moving forward in their rehabilitation journey following the transitional phase, by accessing properties from its extensive stock across Teesside. It also offers a bespoke in-house adaptations service, has expertise in building new homes for people with medical needs, and can help with a move into home ownership. The transitional housing that Erimus provides for Keiro at The Gateway is aimed at clients who are ready to move on from residential status to begin their transitional journey into independent living before returning home. The houses are specially adapted to suit the clients’ needs and they help to instil confidence as they rebuild their independence. They are also a cheaper option than the current alternatives available in the area. In the next few years, The Gateway will become living proof that a healthcare and housing partnership can save the public purse and improve patient outcomes while boosting the impact on patients’ and tenants’ lives that both companies make by working together. Dubbed ‘the future of neuro-rehab’, the partnership will reduce the long-term cost to the state while enhancing patient outcomes. Integrated Health Partnerships (IHP), a joint venture between VINCI and Sir Robert McAlpine, has been working with East and North Herts NHS Trust for four years on a scheme that includes an emergency department, new theatres and wards, and a chemotherapy unit. The chemotherapy project is a joint venture partnership between the trust and Macmillan and as such is a first for the P21+ framework. The old chemotherapy treatment unit on the 10th floor had a number of shortcomings. It was too small to accommodate patient numbers, had limited waiting areas, offered a poor environment for patients during treatment, was located far from the pharmacy, and had limited segregation between treatment bays and outpatient rooms. The new cancer centre, in contrast, is in a prominent position next to the main entrance, raising the profile of oncology treatment in the community. It has enhanced privacy and dignity for patients and relatives, is just a short walk from the pharmacy, and offers more comfortable waiting spaces. An improved layout allows staff to cohort certain treatment types, enabling efficiencies in staffing; and the 8-6-4 bay layout will enable the separation of young people from adults when receiving treatment. This meets the National Cancer Action Team and the specialist commissioners’ requirements. In total, 38 nurses, patient representatives, volunteers and medical staff, together with the Macmillan planning team, have been involved in the design of the new centre. By working together they have been able to facilitate survivorship, nurs- led services and self-management services in a ‘one stop shop’. Richard Townley of construction company, VINCI, said: “As a team we have designed and delivered an excellent cancer environment that promotes personal wellbeing, reducing stress and anxiety as well as making a positive impact on patient outcomes. “This unit provides a welcoming, healing and non-institutional environment for patients and an efficient and comfortable working environment for staff and volunteers, and all of this within a budget of £1,800 per square metre. The client behind the innovative Gateway development, Keiro, has demonstrated insight, determination, vision and courage in delivering an outstanding scheme designed to challenge the traditional model of neuro rehabilitation, improving long-term client outcomes, and building a strong community. Keiro's services cater for clients with acquired brain or spinal injury and neurological conditions. Already with a detailed understanding of its clients’ wide-ranging needs from its first development, Chase Park, Keiro was very clear in its ambition for its next facility in Middlehaven and worked closely with stakeholders to develop a pioneering new building. This private/public development included a crucial new element: transitional housing. Keiro’s vision is based on a more social model of care focused on providing support at all stages of a client’s recovery towards more independent community living. While the Gateway includes a 40-bed highly-specialised inpatient neuro-rehab facility; it also brings together a wide range of additional services including advocacy, education and training, health and wellbeing and adapted housing, blurring the boundaries between services and community integration. By bringing continuity to the process of rehabilitation, the Gateway model breaks the cycle of a period of recovery followed by hospital admission or readmission and makes community living a more attainable goal. The model provides a blueprint for the future of neuro rehabilitation, which Keiro is already planning to roll out across the UK. Recent figures suggest that facilities of this type could save the NHS approximately £120m. Engagement was key to the project’s success: not just before and during the design development, but on an ongoing basis. Keiro’s approach was one of involvement and participation. Not many chief executives attend every design team meeting, but Boda Gallon did. Stakeholders were also consulted and informed at every opportunity. Nominating Keiro, building designer, P+HS Architects, said: “A client with courage, commitment and boundless energy, Keiro is passionate about its mission and unafraid to challenge the status quo. 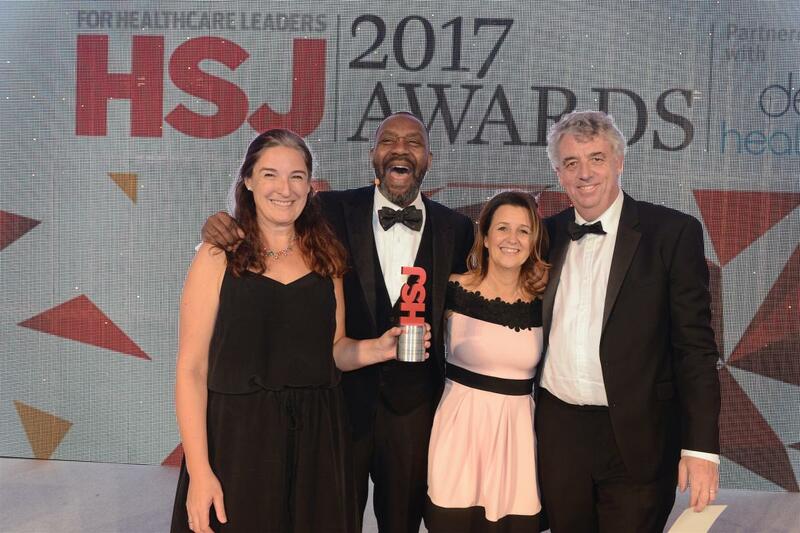 “It demonstrates insightful thinking about who its client group is and how best to serve their needs, working closely with the NHS, social services and numerous other relevant organisations. The Vodafone Gym in Newbury was a collaboration between Vodafone, Nuffield, Rbiz, AECOM and Platform. The facilities were already functional, but Vodafone wanted to create a more-inviting and welcoming environment utilising the most up-to-date fitness equipment to promote health and wellbeing among its staff. The BBH judges singled out the project for its pro-active focus on keeping people fit and healthy rather than merely being reactive and treating illness when it occurs. The aim was to deliver a fresh, inviting gym that would encourage a variety of exercise activities. It was to be friendly, welcoming and easy to use to ensure the widest range of visitors. The facility enables a complete health assessment from initial enquiry through to the solution. This gives Vodafone a clear understanding of staff wellbeing, needs and requirements. The client lead, Clare Cox, runs the Vodafone capital projects team and was engaged from early concept through to deployment. She also provided liaison with the human resources team, which is accountable for the wellbeing programme within Vodafone. Vodafone monthly reporting data shows a continuous improvement curve in line with external findings of improved physical, social and emotional wellbeing. Integrated Health Partnerships (IHP) has worked with the Dorset HealthCare University NHS Foundation Trust at St Ann’s Hospital for the last three years, delivering a world-class new acute care facility for the community of Poole. The success of the project, and the improved healthcare outcomes it is delivering, is due to the approach and commitment of the trust’s team and, in particular, project manager, Kerri Instance. Despite being under pressure to satisfy challenging and conflicting drivers, Kerri remained pro-active on delivering the best patient environments and encouraging best practice from her team. With her health service background, her approach to engaging with the IHP team, understanding the key drivers and construction problems is described as ‘revolutionary’. Since opening, levels of patient satisfaction have improved way beyond expectations and the number of reportable incidents has dropped dramatically, down from 70 to less than 10 a month. Kerri ensured staff were part of the design process and during construction she instigated familiarisation tours, helping the staff hone the service procedures and policies for the new environment. Nutbourne said: “Kerri overcame staff concerns on key changes in the design and model of care as she was convinced the proposed changes would benefit patients and staff and provide better value at the same time.